I have seven of these to make for the main floor of my house. While money can be saved by making these yourself, there is a lot of work involved, so you should consider that before taking it on. 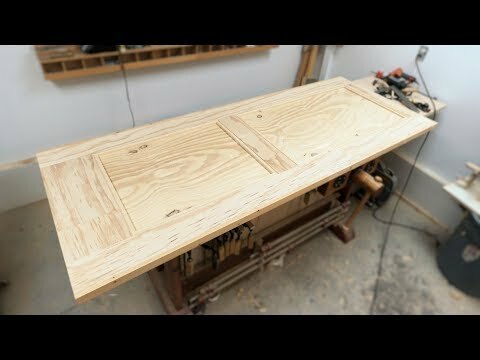 My reasons for doing this are mainly because I'll end up with doors that are much better quality than the typical hollow core doors you get from the retailers. Also, I have the freedom to make them exactly how I want, as plain or as fancy as needed to match the decor.